The Tamil Nadu Nurses and Midwives Council is an Autonomous Statutory Registration Body for registering qualified Nurses, Midwives, Auxiliary Nurse Midwives/ Multipurpose Health Workers/ Health Visitors as per the provision in the Act. The Madras Nurses and Midwives Act No.III of 1926 was passed in the Madras Legislative Council of Madras in 1926 followed by Notification in the Fort St. George Gazette on 29th June 1926 and came into force on 14th February 1928. 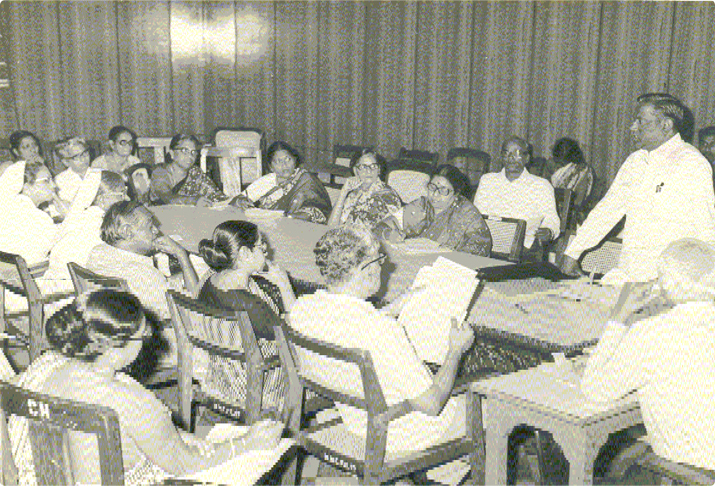 The Madras Nurses and Midwives Council was constituted under the authority of the above Act by a notification by the Governor on 14th December 1928. This Council is the earliest piece of Legislation on Nursing in the whole of South-East Asia aiming at the advancement of Nursing Education and champion the cause of the nursing profession. "The Madras Nurses and Midwives Act No.III of 1926" was renamed as the "Tamilnadu Nurses and Midwives (Amendment) Act No.XXVI" of 1960 on 14th December 1960. The rules and regulations framed thereunder have been amended on several occasions to suit the rapid changes in science and technologies.